So what is the big deal about Romania? Well Romania is one of the oldest ~ and youngest ~ winemaking countries in the world. Wine making goes back 4000 years. However there was a period of some forty years during the Communist era when, under the dictator Nicolae Ceausescu vineyards became state owned and winemaking was given over to mass produced bulk wines for export to Russia and the rest of Europe, including the UK. During the early 1990’s land started to be returned to it’s previous owners. One such owner was Christina Stoica who said that Communism did more damage to ownership and entrepreneurialism than two world wars. Some of the oldest wineries nowadays started during the mid 1990’s and they are rapidly gaining a reputation for excellent wines. Romania is the 12th biggest wine producer in the world and 7th biggest in Europe. Wine is made in every province from the Moldovan Hills and the Black Sea in the east to the Hungarian border in the west, down south on the Danube and in the central province of Transylvania. The remote, magical, mountainous province of Transylvania produces some excellent wines. 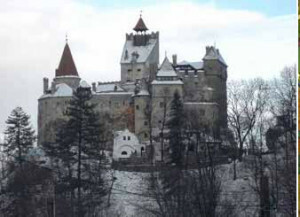 Transylvania means “the land beyond the forest”, and one can easily imagine strange goings-on in the vertiginous turrets of tree-ringed castles, fear stalking the cobbled streets of the towns below. But this is excellent wine country. Romania occupies much the same latitudes as France’s key wine regions. Northern Romania spans the 47th parallel, on which also lie Southern Alsace and Northern Burgundy. Southern Romania, straddling the 43rd and 44th parallels, lies perfectly due east of France’s Mediterranean coast around Montpelier, aligning it perfectly with Provence and Languedoc- Roussillon. Romania’s position many hundreds of miles inland from France means that it does not benefit from the moderating climatic influences of the Atlantic Ocean, and has instead a more continental climate drawn from the vast landmass (the Middle East and Russia) to the east. This makes for hot, dry summers and cold, harsh winters, with regular snowfalls. The Black Sea coastal region enjoys some respite from these extremes. Whilst producing wines from the well known grape varieties such as Merlot, Cabernet Sauvignon Shiraz, Sauvignon Blanc and others, Romania has its own selection of indigenous grapes. Romania has certainly surprised many people with the quality of their wines. They are winning awards for quality at tastings all over the world. In the heart of Dealu Mare, famous for its red wine and archealogical evidence linking winemaking with the Romans, the new Budureasca Winery opened in 2013. The renowned English winemaker Stephen Donnelly has been making Budureasca’s multi-awrd winning wines since 2007. Their Vine in Flames range are crafted on the exact place where over 2000 years ago the Dacian leader burned the vineyards to stop invaders from benefiting from the crops. The Legendary Dracula winery produces high quality wines from grapes harvested in Transylvania, the heartt of Dracula’s realm. Bostavan Winery is the leading producer of high quality wines in the Republic of Moldova. The Alcovin vineyard is based in the Dobrogea region and are the official wine suppliers to the Royal House of Romania.